The ASCD's Whole Child Initiative was launched in 2007 as a way to shift from focusing on academic achievement as a measure of student success to promoting the "long-term development and success of all children." 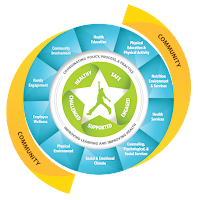 The five tenets of the Whole Child Initiative is the core of the WSCC model, ensuring that each student is healthy, safe, engaged, supported, and challenged. The alignment of school, health, and community efforts around the health and learning of every child was the focus in an issue of School Health in November 2015. This issue explores community partnerships and the educational attainment and health development of students. Because of the comprehensive scope of the WSCC Model, funding for implementation can be found in grants for coordinated school health, safe and supportive environments, and even school climate transformation. Despite our best efforts using research- and evidence-based bullying prevention programs, 20-30% of US students continue to report being bullied on school property. 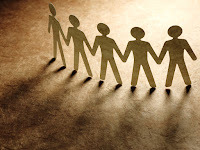 A combined health and education approach within a coordinated home-school-community template shows promise in reducing bullying in our schools and in our communities.